New stent technology is evolving at a dizzying pace. Even cardiologists may have trouble keeping it all straight. Here is a quick primer on the newer kinds of stents under development, and why improved stents are needed. What Are Stents Supposed To Do? The whole purpose of stents is to help prevent restenosis in a coronary artery (or any artery) after angioplasty of an atherosclerotic plaque. With angioplasty, a balloon catheter is passed across the area of obstruction in an artery, and the balloon is inflated to crush the plaque and relieve the blockage. A stent is a metal scaffold that is deployed at the time of balloon inflation that gives mechanical support, and helps keep the newly-treated artery open. In an effort to reduce the rate of restenosis even further, stent developers began to coat the bare metal stents with polymers containing drugs aimed at inhibiting tissue growth at the site of the stent. These stents are called drug eluting stents, or DES. (The original, non-drug-coated stents, in contrast, came to be known as bare metal stents, or BMS.) DES have been developed using a number of drugs, chiefly paclitaxel, everolimus, or zotarolimus. Read about bare metal vs. drug-eluting stents. DES have been quite successful in reducing the rate of restenosis to around 5 - 6% at one year. However, within a few years of DES becoming the “gold standard” of stent therapy, a new problem came to light - late thrombosis. Stent thrombosis is the formation of a blood clot within the artery at the location of the stent. Thrombosis is different from restenosis, which is the regrowth of tissue. Restenosis is certainly a problem, but at least when it occurs it tends to occur gradually so that usually there is time to treat it. In contrast, stent thrombosis tends to occur suddenly, without any warning. Stent thrombosis commonly leads to the complete occasion of the artery, and thus tends to produce a myocardial infarction (heart attack) or sudden death. The problem of early thrombosis (a blood clot occurring days to weeks after stenting) was recognized in the very early days of stenting, and was successfully addressed by administering powerful anti-platelet therapy for a few months after stenting. With the use of BMS, this approach appears to be sufficient. However, within a few years of the widespread use of DES, the problem of late stent thrombosis was discovered - that is, sudden thrombosis at the site of a stent that occurs a year or two after the procedure. Late stent thrombosis is just as catastrophic as early stent thrombosis. To reduce the risk, cardiologists now prescribe anti-platelet therapy for at least a year after stenting, and if possible much longer (perhaps forever). Because the use of strong anti-platelet drugs itself carries risk, the issue of late stent thrombosis has led stent developers on a quest to devise a new type of stent that eliminates or at least reduces this problem. Read about the problem of preventing late thrombosis. The leading theory as to why DES may cause late stent thrombosis (whereas DES tend not to cause this problem) focuses on the polymer coating used on these stents. The purpose of polymer coating is to hold the drug in place, and to release it gradually over a period of weeks or months in order to inhibit tissue growth and restenosis. Once the drug has been released, however, the polymer serves no further purpose. Researchers now believe that the polymer coatings on DES may themselves increase inflammation and delay healing at the site of stent placement, thus increasing the risk of stent thrombosis. They have taken three general approaches to address this problem, and several companies are now developing new stents employing all three of these approaches. 1) “Better” durable polymers. DES are now available using updated polymer technology. These new polymers appear to cause less inflammation, and allow better tissue healing at the site of treatment. It is believed that they substantially reduce the risk of late thrombosis. These stents - which are generally referred to as “second generation DES” - are now in widespread use around the world. 2) Bioabsorbable polymers. DES (developed and manufactured in the US) have been available in Europe for several years which employ a polymer coating that is absorbed (disappears) within several months, leaving a bare metal stent. In other words, these stents offer the benefits of DES for the first few months (when restenosis generally occurs), and then they become BMS, with a reduced risk of late thrombosis. In October, 2015, the Synergy stent (Boston Scientific) became the first bioabsorbable polymer stent approved in the US. Several studies have been conducted comparing bioabsorbable-polymer DES with first and second generation DES. Compared to first-generation DES, late stent thrombosis is reduced with both the second-generation DES and the bioabsorbable-polymer DES. However, there is no indication at this point that bioabsorbable-polymer DES perform better than second generation DES. Furthermore, at least so far, both the second-generation DES and the new polymer DES still require prolonged therapy with anti-platelet drugs. 3) Bioresorbable stents. Stents are under development that are completely biodegradable - that is, the entire stent is reabsorbed and eventually disappears altogether. It is believed that the benefits provided by stenting (the scaffold effect) is no longer necessary nine to 12 months after the procedure - the stent serves no further purpose. So why not make it go away? Several versions of bioresorbable stents have been developed, and are in active clinical trials. 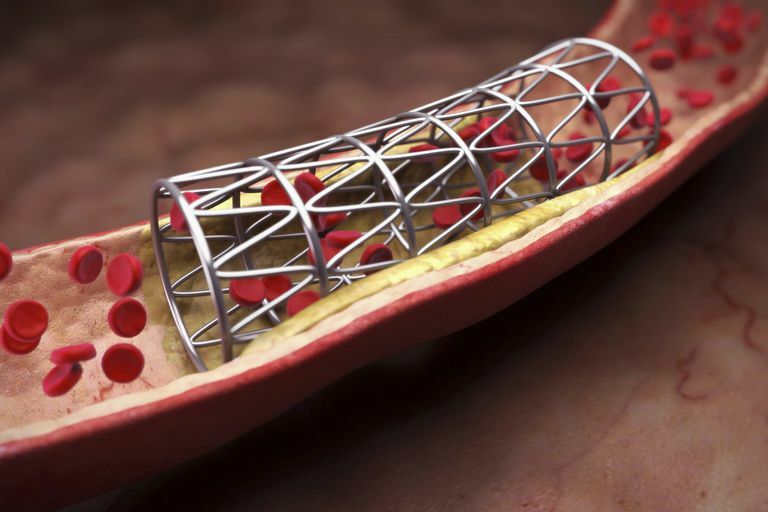 All the amazing engineering that we see going on today in stent technology is certainly impressive, and it seems likely that sooner or later stents will be available that come close to eliminating both restenosis and thrombosis. But we should keep a couple of things in perspective. First, all these activities and all these investments in stent technology are aimed at addressing two problems (restenosis and stent thrombosis) that are themselves caused by our attempts to treat coronary artery disease (CAD) with angioplasty and stents. If we didn’t “need” to do this kind of procedure in the first place, this kind of monumental effort would not be necessary. And second, while cardiologists have become very quick to recommend invasive treatment for CAD, we should keep in mind that stents really haven’t been shown to significantly reduce the risk of either heart attacks or death in most patients with stable CAD. Before you agree to a stent, you need to talk to your doctor about whether a stent will really be helpful to your future, or instead whether you will merely be adding a new chronic management problem onto the one you already have. Bangalore S, Toklu B, Amoroso N, et al. Bare metal stents, durable polymer drug eluting stents, and biodegradable polymer drug eluting stents for coronary artery disease: mixed treatment comparison meta-analysis. BMJ 2013; 347:f6625. Navarese EP, Tandjung K, Claessen B, et al. Safety and efficacy outcomes of first and second generation durable polymer drug eluting stents and biodegradable polymer biolimus eluting stents in clinical practice: comprehensive network meta-analysis. BMJ 2013; 347:f6530. Stefanini GG, Byrne RA, Serruys PW, et al. Biodegradable polymer drug-eluting stents reduce the risk of stent thrombosis at 4 years in patients undergoing percutaneous coronary intervention: a pooled analysis of individual patient data from the ISAR-TEST 3, ISAR-TEST 4, and LEADERS randomized trials. Eur Heart J 2012; 33:1214.